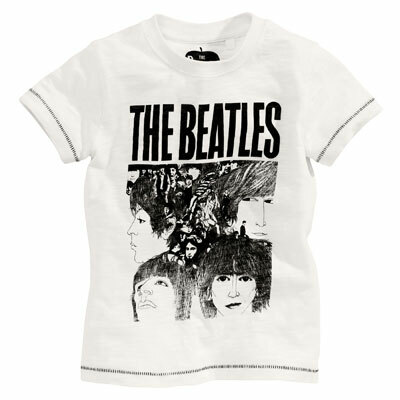 The seventh studio album by he Beatles is celebrated with The Beatles Revolver t-shirt at Next Kids. Yes, the 1966 classic becomes a kids t-shirt. A pretty cool one too – and an official one. it has the illustrated album cover on the front, with some trimming on the sleeves and hem, finished off with the Apple logo inside. Three months to six years are the sizes. £10 – £11 is the price, depending on the size.